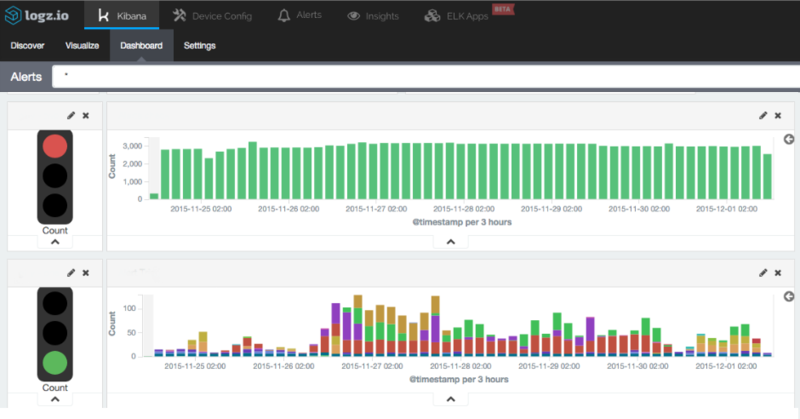 Kibana, being the ‘K’ in ‘ELK’, is the amazing visualization powerhouse of the ELK Stack. We use the software to create nice dashboards that display metrics including page visits, server JVM performance, messages from our client-side application, and technical SEO data. Kibana is great at creating these visualizations with a useful plugin infrastructure that allows users to extend Kibana’s capabilities to create many different custom visualizations. 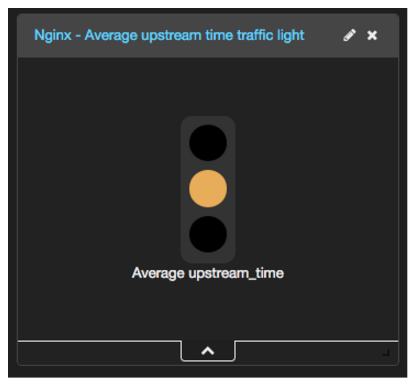 We have also added a visualization to our ELK Apps library that can leverage Nginx log data to show average response time as a traffic light visualization. This example and more will reside in our public GitHub directory. To make the code easy to maintain, we are going to place (most of) it in a separate directory for our visualization. Go to Kibana’s ‘/plugins’ directory and add a directory named ‘traffic_light_vis’. This will look for our traffic light visualization in a file called ‘traffic_light_vis’, so let’s create that file now. We’re going to create another file in the ‘traffic_light_vis’ library named ‘traffic_light_vis.js’ to define the properties of our visualization. Template visualizations. This is an object called ‘TemplateVisType’, which inherits directly from the ‘VisType’ object. 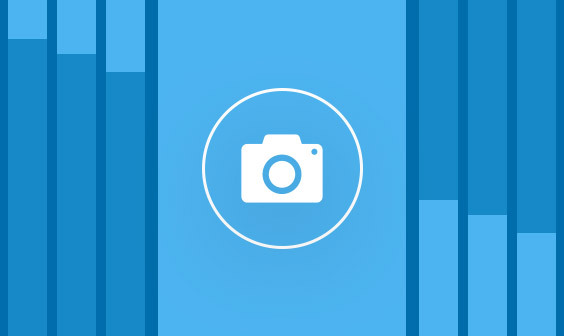 Template visualizations are for visualizations that do not require special canvas rendering. They are good for visualizations such as metric visualizations or those for a data table. 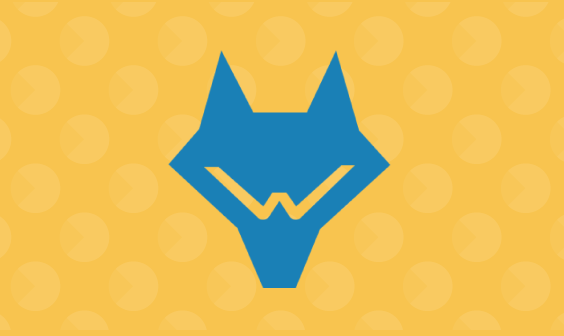 You define them with an Angular-based template file, and angular binds the data queried from Elasticsearch to your template. Our traffic light visualization will be drawn with basic HTML and CSS, so we’ll use this type of visualization for now. VisLib visualizations. An object called ‘VisLibVisType’ also directly inherits from ‘VisType’ and uses D3 to render more complex visualizations on an HTML canvas. 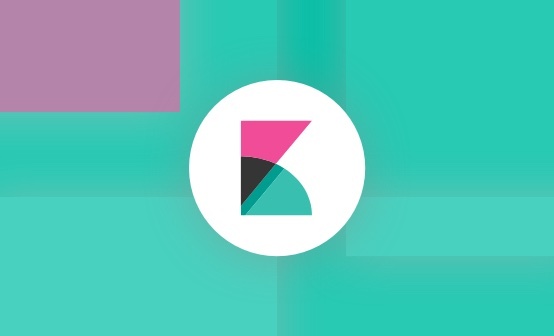 These are used for all of the other visualizations that Kibana supports such as pie charts, line charts, and histograms. // Vis object of this type. All of the defined parameters that this visualization can configure are injected into our template under the ‘vis.params’ object. You can see the CSS definitions in this GitHub repository. When you are editing a visualization, you will see an HTML template on the left side of the screen. The parameters are shown in your template as ‘vis.params’, and whatever you bind here to the model will be saved in your Kibana visualization object. The controller that we referenced earlier in the definition of our visualization definition is responsible for passing the response from the Elasticsearch query to our template for rendering. After following this process, you should have your custom Kibana visualization! Check Out our Additional Advanced Features for Kibana! Try Us Today for Free! Can you provide a link to the files (on github perhaps) ? Thanks @gillybarr:disqus and @dude, both made a great contribution, got it working in 4.3. Any thoughts (or more like examples) on how to add new custom d3 visualizations? Thanks! I feel like I’m missing something really fundamental here. I’ve dropped all the code in (I think), but I’m not seeing the new visualization. I’ve restarted Kibana just to make sure that wasn’t something that was created on load. I haven’t actually edited any files outside of the kibana/src/plugins/traffic_light_vis directory. Is there a file in kibana that needs to be modified to tell it there’s a new plugin? Hi, I am having same issue, can you tell me where can i find the original non compiled directory ? Can someone shed light on why this README exists? i am looking in /opt/kibana/src/plugins – is that the right place? While Kibana has a directory called plugins, and a way to load plugin-provided modules, the API and underlying mechanisms are purposefully undocumented, and are very likely to change. Issues filed to aid in the development of plugins will be closed with a link to this file. The concept of having a traffic light visualization is great, so I have downloaded and installed without issue (for Kibana 4.5 using https://github.com/kaib/kibana-visualizations). I retrieve a number from my query which lets say gives me a response time for my website. In the last 15 minutes the MAX value for the response time number is 40 milliseconds. When creating the traffic light I want the red light to be shown if the MAX response time is greater than 50, the yellow light to be shown if MAX response time is greater than 40 and to be green at all other times. My assumption would be to set the red threshold to 50 and the green threshold (spelt Greed not Green in the code) to be 40 but this doesn’t appear to work because it would appear green is on when metric value is >= greenThreshold and red is on when metric value is <= redThreshold or am I missing something? I am trying to create a custom visualization where i need to show the information also. If we have pie charts with 3 different section containing the marks divided. If i click on any section then i should be able to get all the students which falls under that pie chart area as a tabular list or in any ways. I want that data to be displayed as a part of visualization created in Kibana . Thank you for this tutorial. But in my case I don’t have numbers to compare, I have 3 params ok (green light), warning (yellow light) and critical (red light). So it’s possible to do it? I was trying to change the metric schema, but I think I missed something and now I can’t see anything. Can anybody help me? Hi all! I’ve developed a number of visualizations for Kibana 4.1+ to 4.5. You can see some of them here: https://github.com/JuanCarniglia. If anyone needs any pointers, send me an email. Sorry it took us a little while to respond — thanks for letting us know about the plugin. We’ll take a look soon! In the part of defining the visualization (In the schemas part) can i add a new metric ?